Members of Congress will begin moving forward today with efforts to pass the American Health Care Act, a proposal to replace many of the major provisions of the Affordable Care Act, the health law commonly known as Obamacare. House Republicans say their plan will provide relief to those burdened by higher taxes, increased premiums and limited insurance options as a result of Obamacare. “The American Health Care Act is a plan to drive down costs, encourage competition, and give every American access to quality, affordable health insurance. It protects young adults, patients with pre-existing conditions, and provides a stable transition so that no one has the rug pulled out from under them,” House Speaker Paul Ryan, R-Wisc., said in a statement announcing the plan. Critics on the left say it will do the opposite, making coverage more costly for Americans who don’t get coverage through their jobs and imperiling states’ ability to continue providing coverage through Medicaid as they do now. 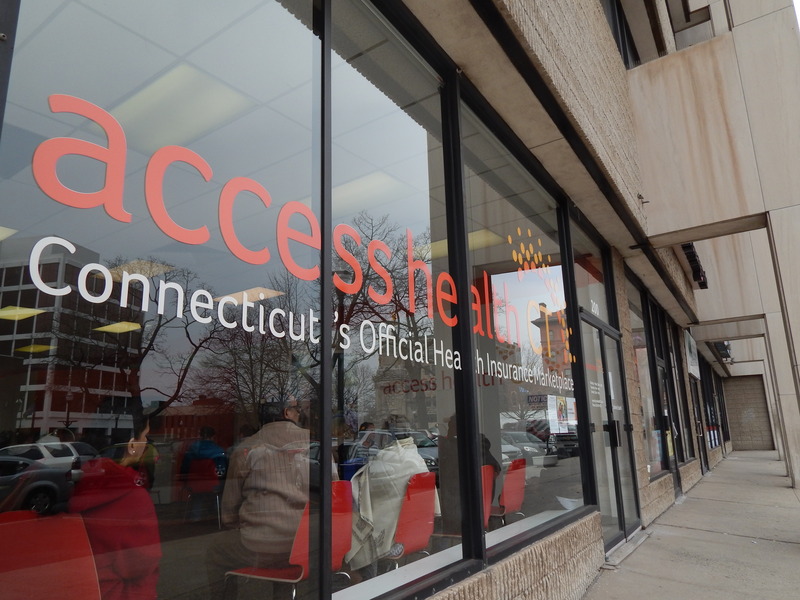 “There are clearly going to be tens of thousands of Connecticut residents who are left without access to affordable care under this proposal,” Ben Barnes, Gov. Dannel P. Malloy’s budget director, said Tuesday. Here are some key things to know about the proposal and its implications for you and Connecticut. You wouldn’t have to buy insurance – but not doing so could cost you more later. Rep. William A. Petit Jr.
As an alternative, this bill would try to encourage people to buy insurance by making it more costly to get coverage after going without. People who were uninsured for more than 63 days during the previous year would have to pay 30 percent more in insurance premiums for one year. This would start applying for anyone who signed up after the 2018 open-enrollment period. State Rep. William A. Petit Jr., R-Plainville, expressed concern about the change, and said he was skeptical that the penalty for gaps in coverage would be effective at enticing healthy people to buy coverage. State Rep. Sean Scanlon, D-Guilford, said the mandate is “the central linchpin” of what could make the health law work. “As far as I can tell, getting rid of the one thing that tries to control costs seems like a surefire way to raise premiums,” he said. You’d be able to buy insurance regardless of your medical history – one of several parts of Obamacare that would remain intact. The American Health Care Act – the GOP plan – would maintain the ban on insurance companies denying coverage to people with pre-existing conditions, or charging them more for coverage because of their medical histories. 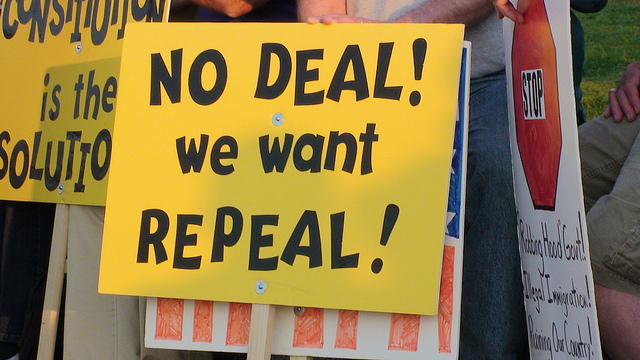 The proposal also would maintain Obamacare’s ban on lifetime coverage limits. And it would maintain the requirement that allows young adults to remain on their parents’ health plans until age 26. In addition, health plans would still have to cover 10 “essential health benefit” categories, including maternity care and mental health services. Certain preventive services would still have to be covered at no out-of-pocket cost to patients. There are big implications for Connecticut’s single biggest source of coverage. That would be Medicaid, which covers nearly 770,000 poor children and adults, and people with disabilities. Approximately 217,000 people – low-income adults without minor children – are covered by a portion of the state’s Medicaid program that was created by the Affordable Care Act. If you’re not among the one in five Connecticut residents covered by Medicaid, the program still has big implications for you as a taxpayer: Medicaid is the state’s largest source of federal funds, and the largest single line item in the state budget. This fiscal year, Connecticut is expected to spend $2.4 billion on the program, while the federal government will chip in another $3.5 billion. The House Republican proposal would make several changes to Medicaid, most starting in 2020. One big one: Instead of reimbursing states for a portion of whatever they spend to provide coverage to enrollees, states would receive a fixed amount of money for each person covered. (That’s a system known as per-capita caps.) If Medicaid costs grow more than the fixed federal allotment, states would have to make up the difference, or make cuts to eligibility, services or payment rates to health care providers. Proponents of this type of change say it could help to rein in spending in the massive program. They say that the existing open-ended Medicaid funding system gives states little incentive to contain costs, and leads wealthier states to capture more federal funds since they can afford to spend more on Medicaid. This is one area where the technical details are a big deal – in this case, how the per-person amounts states receive are determined. Under the House GOP proposal, the amount would be based on what states spent in 2016, and would be adjusted based on medical inflation. That’s significant for Connecticut, which spends more on Medicaid than many other states. If the caps were instead based on a national average, the state would probably see a significant drop in federal funding. So what does this change mean for Connecticut? In the short-term, the state might be able to manage without changes to Medicaid eligibility, Barnes said. He noted that per-person spending growth in Medicaid has been low in Connecticut, but added that the state might not always be able to control costs so effectively every year. And in the long run, Barnes said, it would get tougher for the state to maintain the Medicaid program as is. He’s said previously that if he had to make cuts to Medicaid, he’d probably start with cuts to provider rates, but acknowledged that can only go so far. 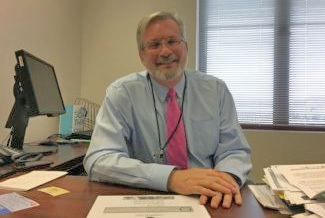 Barnes said his office’s preliminary evaluation of the proposal suggests Connecticut would be able to continue Medicaid as planned for the next fiscal year, and even the year after (though it would include the governor’s proposal to cut back Medicaid eligibility for parents of minor children, a plan made before the GOP bill). Barnes doesn’t anticipate a fiscal impact from the bill in the 2018 fiscal year, but said he’s not certain about 2019. Petit said many legislators are fearful of a change in how Medicaid is funded, worried the state will get less money. The state is facing a $1.7 billion deficit in the budget for the upcoming fiscal year. Matthew Katz, executive vice president and CEO of the Connecticut State Medical Society, said he’s concerned about the potential for more people to become uninsured. 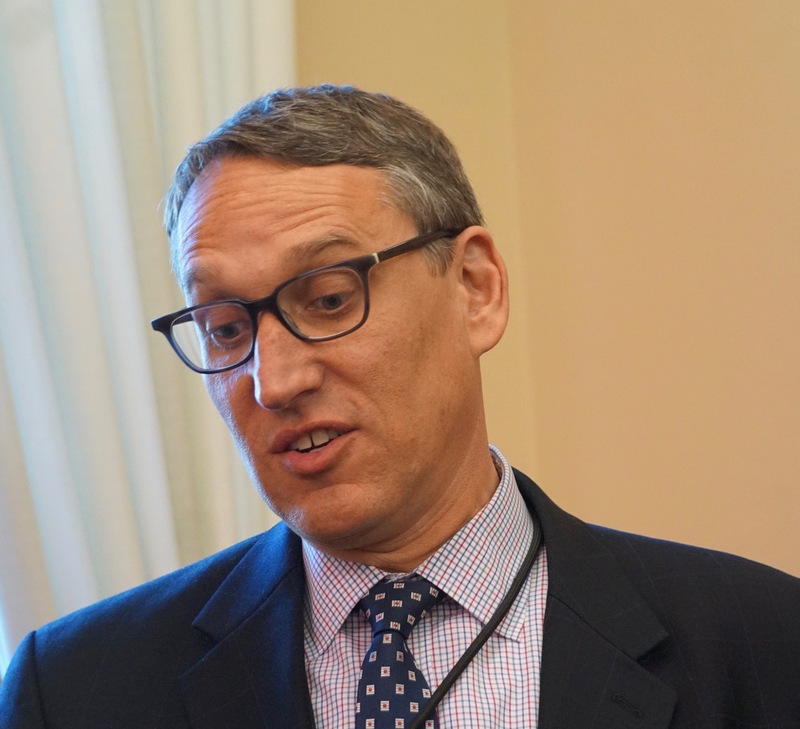 “Any loss of federal dollars means a loss in access and a loss of coverage for many of those that depend on Medicaid for coverage in the state of Connecticut,” he said. Connecticut could keep its Medicaid expansion – for now. 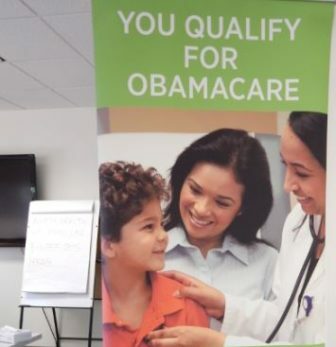 If you’re one of the 217,000 or so Connecticut residents covered by Medicaid because of the Affordable Care Act, you could stay covered – but you’ll have to prove your eligibility twice as often. The House GOP bill wouldn’t change that coverage immediately. But things would change starting in 2020. People who were already covered under HUSKY D as of the end of 2019 could maintain coverage, and the state would get the same higher-than-usual reimbursement rate for their coverage. But the state would lose that reimbursement rate for any clients who lose coverage, even if it’s a brief gap. “This is anticipated to present challenges, as many Medicaid members cycle on and off coverage at different intervals,” said Kate McEvoy, Connecticut’s Medicaid director. And Scanlon said he worries that if the state receives less money for those covered by HUSKY D, Connecticut won’t be able to maintain the coverage. Sheldon Toubman, an attorney with the New Haven Legal Assistance Association, called the proposal “a clever ruse to destroy” Medicaid, which he said efficiently provides health care to more than 70 million poor people nationwide. Another change could, according to critics, lead more people in the HUSKY D coverage group to lose coverage: The bill calls for states to “redetermine” eligibility for these adults every six months, rather than once a year as is currently required. “This ensures individuals not eligible for the program are not remaining enrolled longer than they should, while also allowing eligible individuals to remain enrolled,” a summary of the bill from the House Energy and Commerce Committee said. But critics say that change could lead to more people losing coverage even if they still qualify. “In Connecticut, redeterminations are a fraught process,” Toubman said. Sometimes information doesn’t get processed in time, he noted; in some cases, people move frequently and they don’t receive the paperwork needed to maintain their eligibility. Barnes, too, sees the more-frequent coverage checks as leading more people in the expansion group to lose coverage. “Doing frequent redeterminations will speed up the process of attriting down that population,” he said. 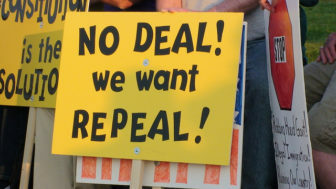 While many in Connecticut are concerned about cuts to Medicaid, the plan has faced criticism from others concerned with government spending, who say funding for the Medicaid expansion group should be cut sooner and other changes made to curtail costs. Subsidies to buy coverage would change, depending on age and income. But people could choose from more plans. The House plan changes how much money people receive to help them buy insurance – some make out better, some make out worse – and would expand the types of plans people could buy with that assistance. Under Obamacare, low- and middle-income people who don’t get health insurance through a job, and don’t qualify for Medicaid, can receive federal tax credits to discount their insurance premiums. In Connecticut, approximately 85,000 people currently receive those discounts for plans purchased through Access Health CT, the state’s exchange. The Republican plan also would provide tax credits for people to buy coverage, but with some key differences. The Obamacare credits take into account the cost of insurance plans, and are set so that people wouldn’t have to pay more than a certain percentage of their income to buy a midlevel plan. The House GOP plan would give people a fixed amount of money, which varies based on their age and income, but wouldn’t take into account the cost of insurance. An analysis by the Kaiser Family Foundation found that, in general, people who are older, low-income or in states with high insurance costs would be likely to see smaller subsidies to buy insurance under the GOP plan than the current health law. By contrast, younger people, those with higher incomes and people in areas with lower insurance costs could see higher tax credits under the Republican plan. So what does that mean for Connecticut residents? A 27-year-old earning $30,000 per year would receive less money to discount their insurance costs under the GOP plan, according to the Kaiser analysis. Under the Republican plan, that person would get a $2,000 tax credit in 2020, regardless of where he lives. Under Obamacare, the person’s tax credit would range from $3,280 in Fairfield County – where insurance is most expensive – to $2,200 in Hartford County. But if that 27-year-old earned $50,000, he’d receive a $1,500 tax credit under the GOP plan, compared to no financial assistance under Obamacare. A 60-year-old earning $50,000 would receive a larger credit under Obamacare: ranging from $9,820 in Fairfield County to $7,020 in Hartford County. Under the GOP plan, he’d get $4,000, regardless of the county. But a 60-year-old earning $100,000 wouldn’t get any assistance buying insurance under Obamacare, but would get a $1,500 credit under the GOP plan. Lt. Gov. 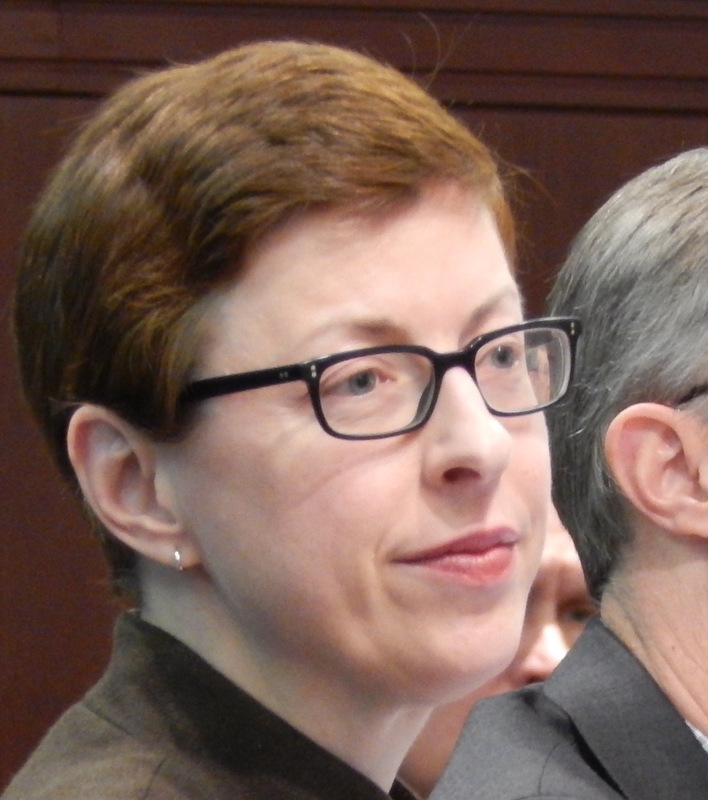 Nancy Wyman, who chairs the board of Connecticut’s exchange, said the changes would lead to cost increases for those who currently get subsidies to buy coverage. “The tax credits promised in the Republican plan do not offset the funding available in the subsidies – that increases costs for low-income people and makes it harder for them to buy insurance,” she said in a statement. Barnes said he’s “deeply concerned” about people who receive significant subsidies to buy coverage through the exchange ending up with far less money to cover their insurance costs. Under the GOP plan, people also would be allowed to buy any health plan sold on the individual market, not just those sold through a health insurance exchange. It’s not clear what this means for the exchange in the interim. Many of the bill’s provisions don’t take effect until 2020 – including the change in the tax credit system. The individual mandate elimination would be effective immediately if the bill becomes law, however. And that raises a question: What would this mean for the insurance market in the interim? In Connecticut, two insurance companies currently offer coverage through the state’s exchange. It’s not clear yet if they’ll participate in the exchange in 2018. One of the companies, ConnectiCare, said in a statement that it hopes to offer coverage in the individual market next year, on and off the exchange, but said it’s still too early to say. The other insurer selling plans through the exchange, Anthem Blue Cross and Blue Shield, declined to comment Tuesday. Seniors could be charged more for coverage – if the state allows it. Under Obamacare, a 64-year-old can’t be charged more than three times more than a 25-year-old for the same plan. The GOP bill would raise that differential to five times, something the Energy and Commerce Committee summary says is closer to the actual cost differences in medical care for young adults and seniors. That could lower prices for young people – those who help to stabilize insurance pools – but raise costs for older people. But states would be allowed to adopt their own rules. Planned Parenthood would lose federal funds for one year. 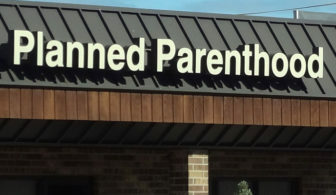 Under the proposal, federal funding for Planned Parenthood would be prohibited for one year. McEvoy, the state’s Medicaid director, said Planned Parenthood is a key primary care provider for women in the state. “A sizable number of women rely on Planned Parenthood for their annual flu shots and other vaccines, mammograms, smoking cessation groups and treatment, to name but a few of the vitally important services that would be much harder for women to find,” she said. Approximately 30,000 Medicaid clients receive care at Planned Parenthood clinics in Connecticut. Malloy has proposed legislation that would allow the state to maintain existing Medicaid payment rates to Planned Parenthood for family planning – which would require the state to take on costs that would have in the past been reimbursed by the federal government. It’s not clear how much that would cost the state. This bill still has to go through the House and the Senate, where it’s likely to face resistance, including from some Republicans. In the meantime, Obamacare remains the law.